21 years of FC Footstar, today! – FC Footstar Berlin e.V. 21 years of FC Footstar, today! January 12th, 2019, marks the 21st anniversary of our clubs’s official formation. In celebration of finally having reached legal drinking age in the United States, we will be publishing classic photos and videos from our archives over the course of the next weeks, not necessarily in chronological order. To begin with, here’s a photo from (presumably) the foundation meeting in January 1998. 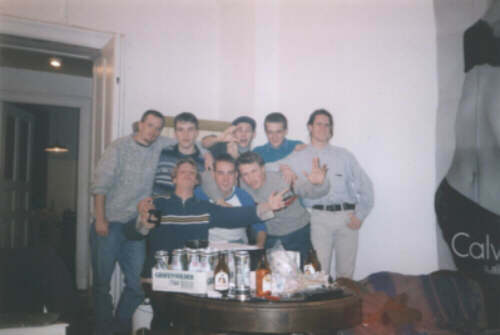 Just one of the guys in the photo is still active, can you find out who it is?